First two CT images show large cystic mass with thick enhancing septa that was proven malignant thymoma. 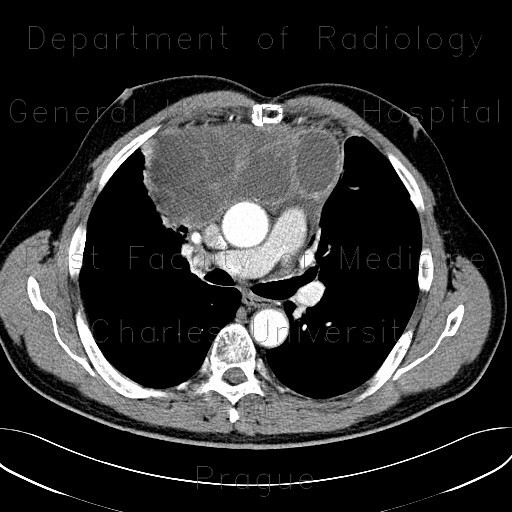 The mass expands anterior mediastinum and encroaches adjacent lung parenchyma. Next images show, how the mass became smaller, more compact, and calcified after treatment.